Vodka is one of the favorite liquors in the world, and because of this, there have been so many liquor companies that have made their own vodkas. 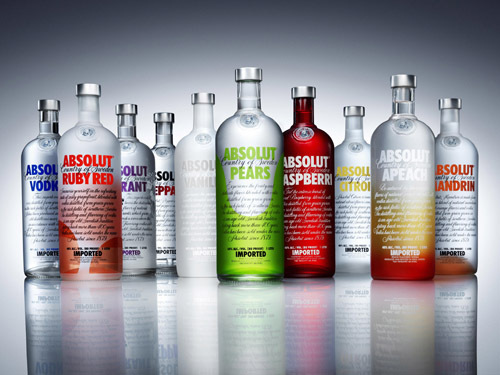 Now, the market is saturated with a lot of vodka brands that can definitely confuse consumers. If you want a unique twist, why not learn how to make vodka? With a beautiful bottle, you can give them as gifts to your friends and family. Who knows? From a simple gift, it will turn out to be a multimillion business. So start learning how to make vodka now. As we all know, vodka typically comes from foods that contain starch, like grains. Remember though that to make quality vodka you should have quality starch-containing foods and a lot of patience. You should also have your own still. You can purchase one and assemble it at home, or you can look in the Internet how to make vodka still. Looking for the parts is easy as you can easily purchase them at any cooking and hardware store. It consists mainly of four parts. You have your heat source, which can be your gas stove; boiling chamber; water-cooling pipes; and the bottle for collecting the finished product. To assemble, you can consult the internet or the instruction that came with your home-still set. Thoroughly clean your vodka home still is the first process. Step two is where you will make your mash. Boil your grains for about an hour, taking care that you have used purified water. After about an hour, put in your yeast. For about a week or two, let the mixture sit. Step three is done after about two weeks and is called the distillation process. Light your gas stove and place your mash in the boiling chamber. You will notice the alcohol separating from the mixture and traveling through the water cooling pipes before being collected in the collection bottle. Repeat the process for about three to five times, taking care that you clean your boiling chamber thoroughly before going through the process again. It is also important to note that you remove the first 50 ml and the last 50 ml of the collected liquid because it is high in methanol content, a harmful substance. Filtration is step four wherein you will filter the collected fluid through a funnel stuffed with a cotton ball and some activated carbon. The last step or the dilution is where you will mix the final and filtered vodka with purified water. You can also use purified water. The ratio should be 3:1 to make it smoother and milder as pure distilled vodka gives a strong kick.